All flours have the same amounts of gluten, right? Wrong. The level of gluten varies greatly between different types of flour. You can tell how much gluten is in your flour by looking at how much protein is in your flour. How do you do this? 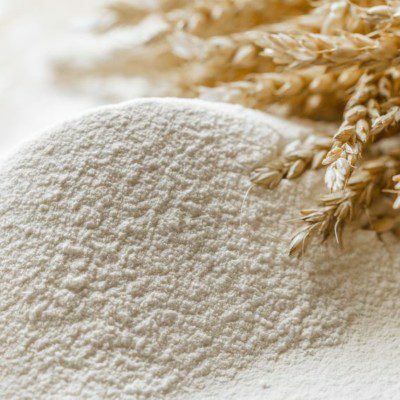 All flour mills produce Certificates of Analysis (COA). If you don’t have one, ask for it from your miller. You can look for the protein level on the COA. The higher the percentage of protein in your flour, the more gluten there is in it. The amount of gluten in flour is determined by what type of wheat is used to make the flour. For example, soft wheat will have less gluten in it than hard wheat, and spring wheat generally has higher protein than winter wheat (though this does not indicate a better quality protein). How much gluten there is in the flour determines what that flour can be used for. The protein level in gluten plays a crucial role in products keeping their shape. So, the ideal amount of gluten in flour is going to change with what you’re baking. The flour with the lowest amount of gluten in it is cake flour containing only 7-9% gluten. It is of course used in cake, but also muffins and delicate cookies. All-purpose flour has 8-11% gluten in it. It can be used to make things like waffles, pie crusts, pastries, and cookies. Bread flour has the highest amounts of gluten at 12-14%, and works well in yeast products. Sometimes, you need a flour with no gluten, especially with gluten-free products high in demand. There are a variety of gluten-free flours that can really be used in most anything. However, some changes will need to be made. Without the gluten providing structure and elasticity, other ingredients will have to fulfill that role. Aside from changing the texture of your product, there will be other adjustments. One of those changes could be how much of the replacement flour is to be used. Each flour acts differently depending on what it is made of. Most of the time, you will use less than if you were using regular flour. Another thing that gluten-free flour will add is an additional flavor. For example, if you use almond flour, your product will have a slight nutty taste to it. Megan is an intern at BAKERpedia. She is currently a junior at Kansas State University studying bakery science and management cereal chemistry option. 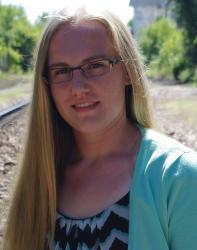 She is also minoring in agribusiness and chemistry. Megan hopes to work with gluten-free products wherever she goes after college.